Don't you just love a multitasker? You know what's even better? A multitasker that won't break the bank! Have I found such a product? Ohhhh I have! I was very recently sent some products from SEVENTEEN (post here), and among them was the Instant Glow Shimmer Brick* in Gold Bronze. Hailed as a dupe for the highly coveted Bobbi Brown Shimmer Brick, this bad boy comes in 2 shades and better still, it's only £4.99. 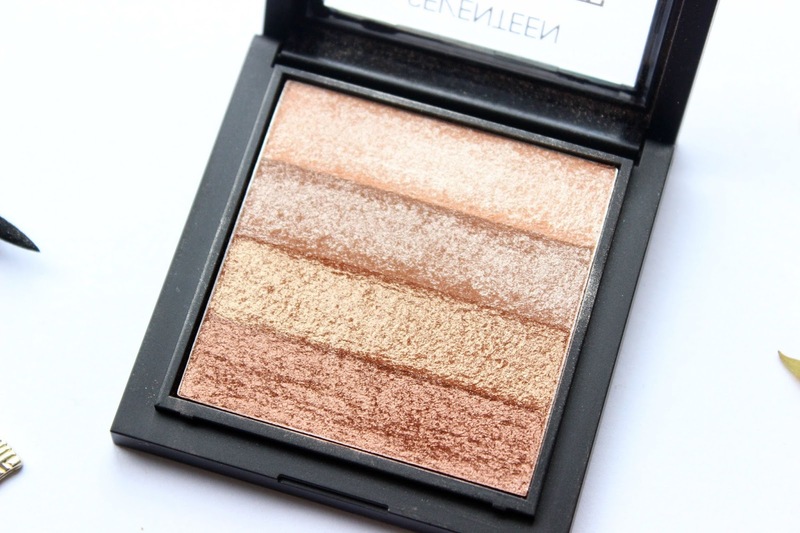 Marketed as a bronzey glow-giving highlighting product, Shimmer bricks are often used by swirling a brush through all of the colours in the brick to create one beautiful highlight shade for the cheekbones. When used this way, the most stunning healthy glow is created and you're transformed into a golden goddess (just me?). 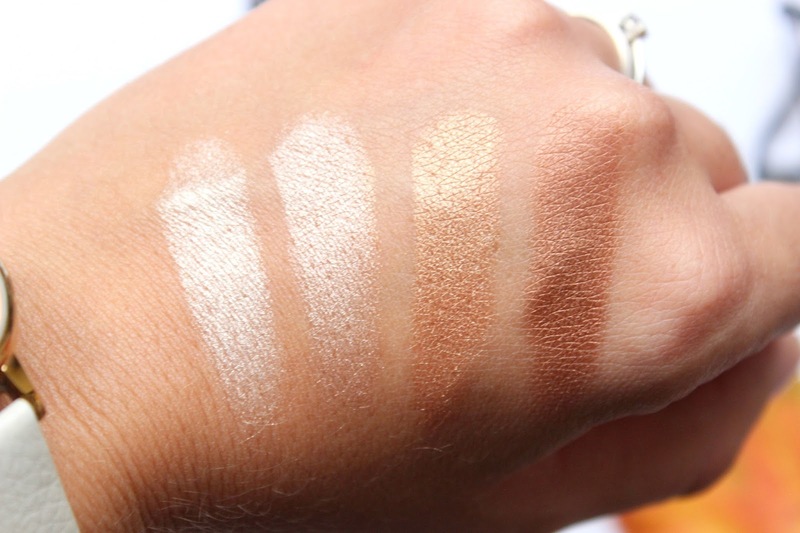 The brick can also be used as a highlighting and contouring kit, but for me I prefer my contour shades to be matte and wouldn't fancy something as shimmery as this for my non-existent hollows. As well as these methods, the shades can also be used seperately as eyeshadows, which is how I've been loving using it. Seriously, as a mini eyeshadow palette, this is so beautiful and all shades compliment each other so well. With my MAC Painterly Paint Pot as a base, I've been using all 4 shades create a warm, smoky eye, with just a little bit of matte bronzer in the crease for added definition. 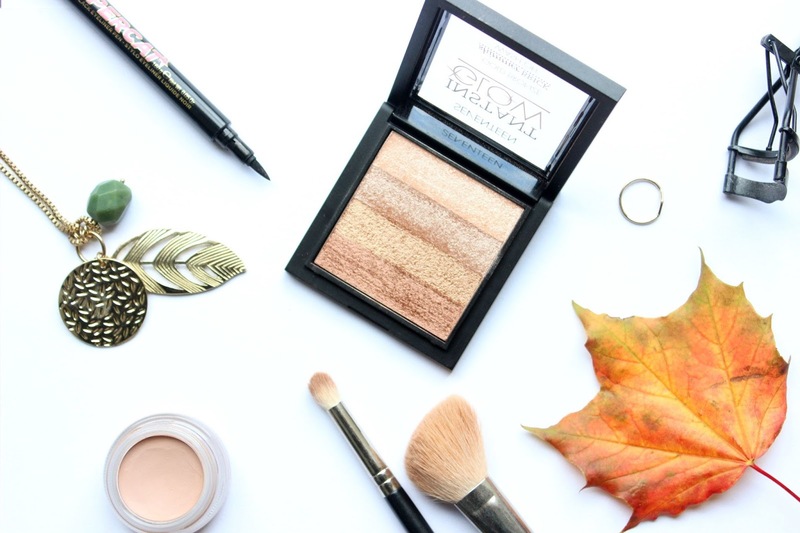 So not only is this an amazing, purse-friendly multitasker, it's also a year-round product; it'll give a gorgeous healthy glow in the summer, whilst giving a warm, autumnal smoky eye in the colder months. If you buy anything this month, let it be this!